Our efforts to provide assistance to people with autism is thanks entirely to people like you. When you click and view sponsor ads, purchase from our store, or make a direct donation to one of the many wonderful programs we highlight and support, you produce results like these. Thank you for doing your part to help people in need! Nearly 40% of individuals with Autism are estimated to be nonverbal, unable to express what they need or how they feel. This can be extremely frustrating and even pose serious safety risks. The National Autism Association's Give A Voice program provides a tablet with an intuitive voice-output communication app to people with autism who are non-verbal or minimally verbal. How does access to an app help real people with autism? The app gives children the ability to build phrases and sentences pictographically, and teaches them how to read and write. Children like Brody. "Good morning! Here's Brody with his iPad that he uses daily!! He loves this iPad! He's in Kindergarten this year, and last year he taught himself the alphabet and numbers using it, and he learned some sight words and his colors. This year he's doing addition and subtraction!" 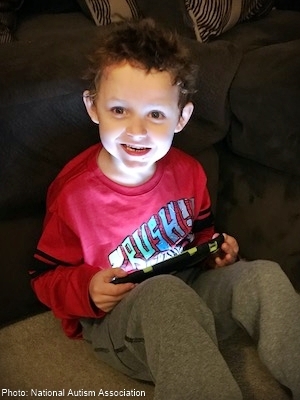 "He's able to do a lot of things using the iPad that teachers/specialists were not able to get him to do. He uses this as a communication tool and has made communication in our house a lot easier! Thank you!" "Thank you so much for the iPad with Avatalker! We use it in my home every day...Joseph and Yansiel use the iPad program to improve their overall speech production and language skills." "Joseph has elaborated his vocabulary usage and reading comprehension skills towards his educational goals. He is able to write complete sentences now, due to his usage of the Avatalker program. This has helped his quality of life for himself, while reducing his frustrations and anxiety." 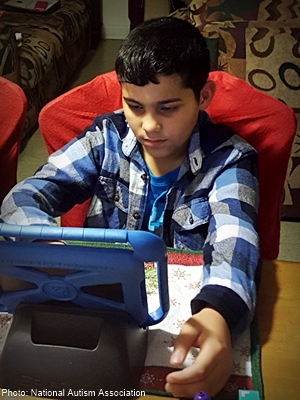 "Yansiel, his brother with autism, has also benefited from sharing the iPad with Joseph to improve his communication skills as well. Thank you so much!!!!!" Do more to help the National Autism Association, and other programs supported by GreaterGood and The Autism Site!